In 1/144 commercialized in the RG series pursuing minimalistic expression and "real". 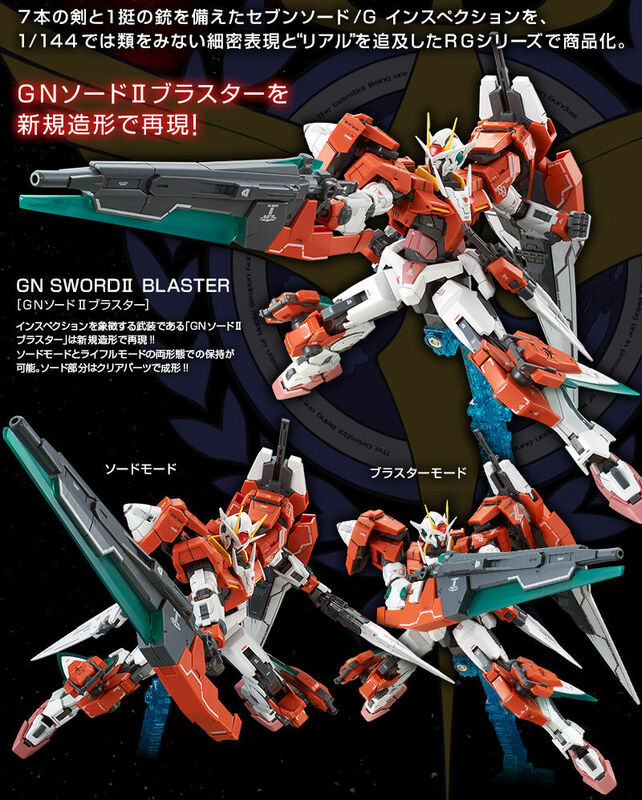 In addition to seven swords, GN Sword II blaster is reproduced with new modeling! ! 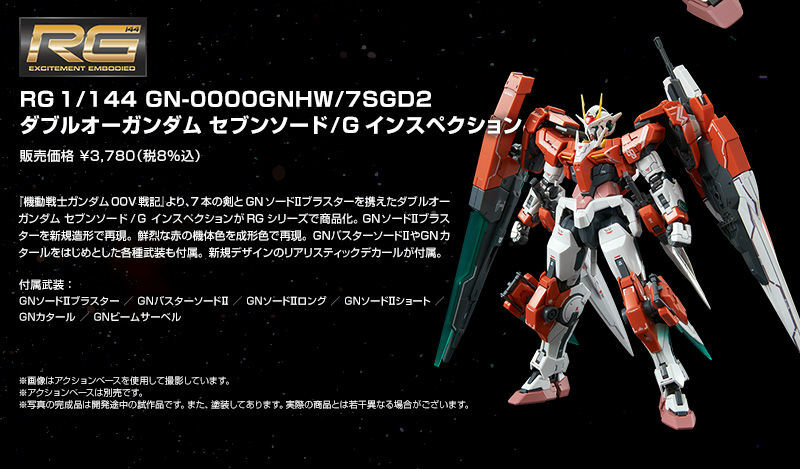 "GN Sword Ⅱ Blaster" which is a symbol of inspection is reproduced by new modeling. It can hold in both sword mode and rifle mode. The sword part is molded with clear parts. 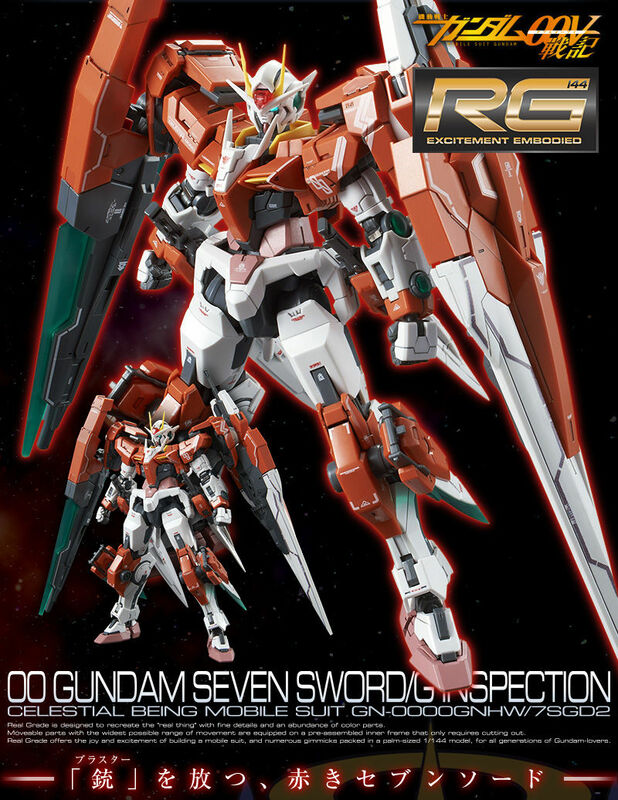 ● 7 swords and 1 armament are included! 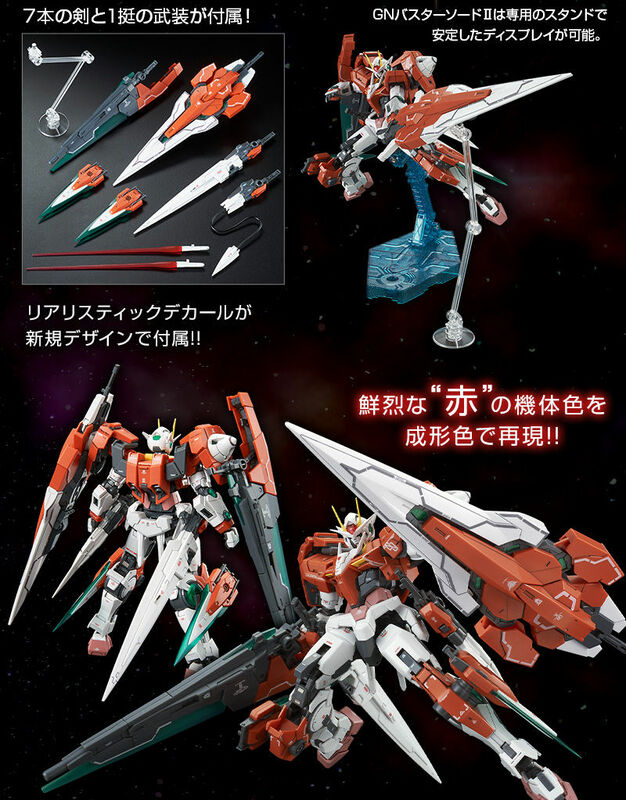 GN Buster Sword Ⅱ is a dedicated stand for stable display. ● Reproduce the aircraft color of brilliant "red" in molded color! - Realistic decal comes with new design!